A past winner of the Australian Design Award, Now Buildings uses 100% Australia steel in all their industrial sheds. These buildings may be customised to individual customer specifications. Width, height, length and roof pitch can all be chosen by customers. And, in addition, there is a choice between Zincalumen and Colourbond finishes. Add-ons, such as vented ridge or high grade whirly birds, skylights insulation, windows, mezzanine floor or offices can also be chosen on all these industrial sheds. Now Buildings meet all standards and wind speeds required for industrial sheds and offices in any given area. Now Buildings offer large clear span areas and a high quality portal frame for maximum internal clearances. The experienced team at Now Buildings has a consultative approach. 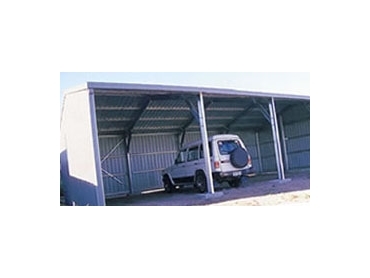 They provide comprehensive customer service and can advise on the ideal industrial shed for each project.